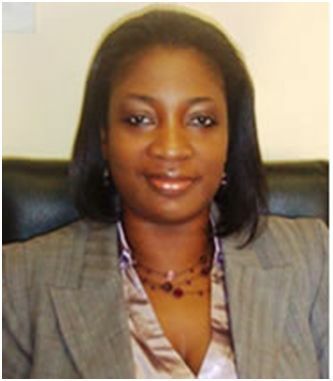 According to reports, Sierra Leone’s reckless and infamous minister of information – Alpha Kanu, has now turned his poisonous fangs on to the credibility and hard earned, no nonsense image of the country’s astute Auditor General – Mrs. Lara Taylor-Pearce (Photo). The Auditor General’s report into millions of dollars stolen from the Ebola fund, has irreparably ruptured trust in the government’s ability to manage public funds, as the number of new Ebola cases rises once again. And serious questions are now being asked as to whether the Koroma government should, and can ever be trusted with managing foreign aid, which accounts for over 60% of the country’s revenue stream. Corruption is now seriously hampering efforts in bringing the Ebola crisis to an end, whiles in neighbouring Liberia today, the government of president Helen Johnson Sirleaf is cautiously declaring Liberia – Ebola free. Critics are asking: If the government of Sierra Leone cannot be trusted to properly manage and account for $18 million dollars meant for the sick and dying, how can they be trusted with the hundreds of millions of dollars that have been lined up by the World Bank and others, for tackling post-Ebola economic recovery? 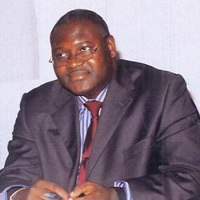 But it is clear that with ministers like Kanu, who is not a public finance expert or a lawyer, attacking the Auditor General with such venom, for merely doing her job – which has once again exposed the culture of corruption and hubris that pervades the Koroma government, the future of Sierra Leone is bleak indeed. And for a minister, who many would seriously advice to keep quiet, because of several allegations made against him for financial impropriety as a businessman, involving government contracts and the transportation of pilgrims to Mecca that went horribly wrong, the least he says about corruption the better. One of the ironies of the Koroma government is that on the one hand, it preaches about being tough on corruption, and yet when the veneer is removed, very little evidence of substance can be seen, as State House itself remains neck deep in corruption. This bunkum, comes after president Koroma and the secretary general of the ruling APC, both applauded the Auditor General – Lara Taylor-Pearce for a job well done. 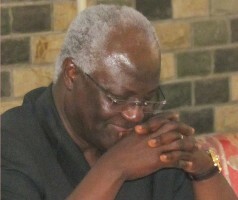 Prior to the audit, president Koroma had himself added to the voices of millions of Sierra Leoneans who had long believed that Ebola funds were being stolen by those responsible for managing the funds, which was why the president authorised the Auditor General to carry out an investigation. And now that the damning audit report is out making waves, fifth columnists of the government, who live in closets full of skeletons, are now shaking in their boots and throwing insults at the Auditor General. Both the Anti-Corruption Commissioner – Joseph Kamara (Photo) and the Auditor General – Mrs. Lara Taylor-Pearce, are national champions of justice, civil liberty and standards in public life; values which the likes of information minister Kanu may not appreciate as the cornerstone of civilised and democratic societies. Few in Sierra Leone really care about whether minister Kanu is disappointed over the report or not, as sierra Leoneans across the country welcome the findings of the Auditor General as a good start towards justice. What minister Kanu’s ugly condemnation of the Auditor General clearly demonstrates is the natural instinct of several government ministers, which is to shield their political cronies and friends involved in the misappropriation of public funds, rather than bringing them to justice. Minister Kanu (Photo) describes the audit report as “a distraction to the government’s efforts in the fight against Ebola”. But what he truly meant to say is that the audit report has seriously distracted corrupt and thieving officials, whose daily preoccupation is the stealing of public funds. Of course, the audit report has temporarily frustrated the efforts of corrupt officials in Sierra Leone, as the spotlight turns once again on the mismanagement of public funds. Minister Kanu is failing to appreciate the fact that the fight against Ebola and the fight against corruption are not mutually exclusive. Corruption in Sierra Leone is responsible for the deaths of thousands of people annually. Well, the least said about this level of ignorance displayed by the information minister, the better. Indictment? Human rights violation? Victims of circumstances of the audit report? 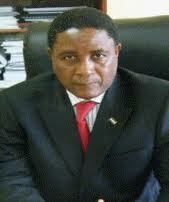 Please minister Kanu, save the people of Sierra Leone your shameless crocodile tears. You should be out there helping the Anti-Corruption Commissioner and the police catch the thieves, not mollycoddle them in cotton wool. “…the Auditor-General’s report does not come as a surprise as it underlines the government’s consistent anti-corruption drive. Even as we applaud government’s efforts, the All Peoples Congress wishes to urge further that a travel ban be slammed on all those named in the audit report, either as individuals or civil society or MDAs, until a logical conclusion is reached into the matter. Specifically, finance officials at the Ministry of Finance, the National Ebola Response Centre, and the Ministry of Health should be affected by this moratorium. Are the views of minister Kanu, with regards the Auditor General’s report, reflective and representative of president Koroma and his cabinet’s thinking and attitude? If not, president Koroma must publish an immediate statement, distancing himself and his entire cabinet, from such incendiary and poisonous views, which are likely to compromise the efforts and safety of the Auditor General and the Commissioner of the Anti-Corruption Commission. Fighting corruption in Sierra Leone is a battle that may take generations to win, but what is certain is that politicians like minister Kanu will soon become relics of Sierra Leone’s political history, as a younger generation of astute, forward thinking and morally sound politicians emerge. But in the meantime, as the debate into the highly respected Auditor General’s report into the missing Ebola funds continues, the international community must now ask itself whether president Koroma and his ministers should and can be trusted with the hard earned cash of their tax payers; and whether they must now channel all foreign aid, meant to tackle health, education, poverty, water and sanitation, directly to the delivery organisations – such as WHO, MSF, Red Cross, and suitably qualified indigenous NGOs. Because, after eight years in power, the Koroma government has once again demonstrated that it cannot be trusted to manage and account for public funds, as minister Kanu now evidently demonstrates, and the government itself persistently fails to do. The $47 million corruption case involving president Koroma’s State House Chief of Staff – Richard Konteh is in limbo, as the accused is alleged to have falsified the signature of president Koroma, and is now believed to be threatening to blow the whistle on the president himself, if the trial continues any further. And as the country ponders what else needs to be done to tackle the resurgence in new Ebola cases, the end of Ebola and the start of the long road to economic recovery is not yet in sight. Yet, hundreds of millions of dollars lined up by the World Bank and others to aid the post-Ebola recovery are potentially at risk. A new approach to the management of donor and domestically generated public funds is therefore urgently needed, and fast. I thank the Auditor General and her team for a job well done! Mr. Kanu’s disingenuous jab at the auditor’s report is a sad, unscrupulous and down-right unconscionable disgrace. And folks, the dangerous aspect of Mr. Kanu’s pathological glib at the Auditor’s report is that- Mr. Kanu is not acting alone. Our country is a Failed State, simply because our politicians are corrupt beyond redemption or salvation. Who does alpha Kanu think he is? What evidence does he have to claim the auditor general’s report is baseless? This guy is really living in dreamland if he thinks he can continue to come out with outrageous claims with no tangible evidence on matters he knows nothing about. Remember his scathing attacks on those who were warning the government on the severity of the Ebola epidemic, only for him to shamefully bury his thick head between his legs? He thinks being minister of spin gives him the right to question the objective opinions of professionals who work not in spinning the truth, as the case may be for our ministry of information, but on providing objective analysis based on facts – not on spin. I say congratulations to the auditor General for a job well done, at least in the eyes of those of us that have the understanding of technical and professional nature of the work of the auditor general, and not someone who thinks by insisting on narrating a lie – that lie will become truth. Mr. Minister of spin, a lie is a lie is a lie – no matter how many times you repeat it. The debate we are having though sad it may be is refreshing. Because It is the start of the people engaging in robust discussions around Accountability. With this in mind I would pray that the outcome would be specific, and anyone found wanting,held to book. This will give two pillars on which we can raise the shining examples of Honorable men and rogues. The former should be Lauded and appreciated,and the latter put to shame, prominently in both cases. I want to add that there are many Good People of all ages all over the World, with vast experience and contacts, who can be a driving Force for the development of our Beloved Sierra Leone. We can achieve rapid development with the right mindset and Focused delivery, on our development plans. So let the process continue robustly! This culture of corruption with impunity, will only be mitigated if strong, transparent and professional bodies like the Audit Service of Sierra Leone, expose not only the rampant corrupt practices in all corners of the public sector, but also recommend strong reporting control measures in managing public funds. For the misinformation minister Kanu to trash-talk a body that complements state governance, to me is an irony and unfortunate. The massive embezzlement of funds that were meant to save lives from a disease that magically made its way in that part of the world, which itself needs investigating, is incomprehensible and deserves a loud public outcry. If Kanu can shamelessly claim that Ebola caught the government with its pants down when it started in Guinea, way before the first case in Sierra Leone, tells me how government is unserious about the wellbeing of the nation. And for officials to mismanage funds that were donated to take care and remedy your very mistakes, takes the word heartlessness to a whole new level. Let me tell Kanu, his utterances is a recipe for a lot of things – including a total lack of public trust in mainstream governance, though you guys will say who cares. Well we do! We will not go hang. We will come after you. No innocent blood is gonna spill this time around to demand change. Its gonna be civil, and it will involve people from across all regions. We have only but our chains to loss in that battle!! Information minister, there is an adage that says; “You can fool some of the people some of the time, but you cannot fool all of the people all the time”. Mind you, you were placed up there by God for a certain purpose, and if you go contrary to that purpose, God’s wrath will mightily come down on you. The statement given by your party Secretary general and His Excellency the President and that of yours, with regards the audit report, are in serious conflict. I now wonder how you are going to reconcile these statements. But since you are a good orator (a man that can change black to white without being suspected), the public is seriously looking at you again. Thieves thieves God Laugh. Most of our current leaders has been or have been living in the United States of America and Europe but only few of them thinking about their people. Many of them are busy stealing our money away from our beloved people. As I mentioned in my last post that these two political parties have let our country and the people down, and they still continue. Many of them knew the kind of development Western countries have, but keep many of their backyards dirty and smell. For example, most of the powerful leaders who are running the country right now, come from Kono but none of them paid attention to what was going on in their backyard. Today, Ebola has destroyed and continue to destroy so many lives in that district without any early intervention. Minister Kanu used to work and lived in England and he knew the way things work over there. But instead he is busy playing politics with people’s lives. May God punish those people who are stealing the sick people money away from them. I will say thank you to the Auditor General for bringing theses individual men and women to light. This is not a surprise, but a fact. 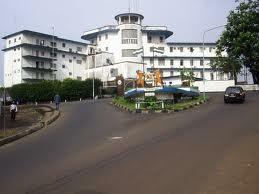 Sierra Leone is corrupt by most of the leaders today and in the past. We don’t know what the future will hold. The Minister of Information now got the message. He needs to pass it on to other Ministers and political leaders. The Auditor General needs to continue doing her job and not bow down to those that criticize her for a job well done. If the Minister of Information and others cannot set an example in fighting against corruption in our land, they need to SHUT UP. Mrs. Pearce, THANK YOU FOR BEING HONEST. By Michael Sahr Pettiquoi, from Tombodu Kamara Chiefdom.